Fans of the hit indie game Binding of Isaac will be excited to hear that another massive expansion is making its way to the title. The upcoming update adds the very popular Anti-Birth mod into the core game and is named The Binding of Isaac: Repentance. The big announcement was officially made by Binding of Isaac's developer, Nicalis, and was also shared out by the game's creator Edmund McMillen only a couple of days ago. Following the teaser, McMillen clarified a few more details about the expansion (in his own charming way of course). Fans were initially confused on what Nicalis could be teasing, considering they already have another title on the way, The Legend of Bum-Bo, that is set to look deeper into the Binding of Isaac's lore. Although, The Binding of Isaac: Repentance turned out to be a surprise expansion for a game that fans thought was already complete. 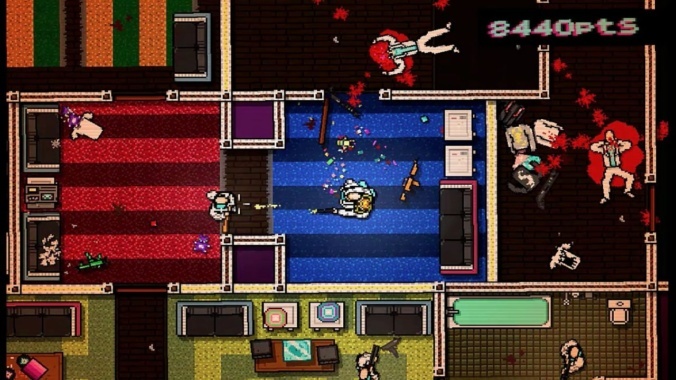 Repentance is expected to add a ton of new content into the already jam-packed game. 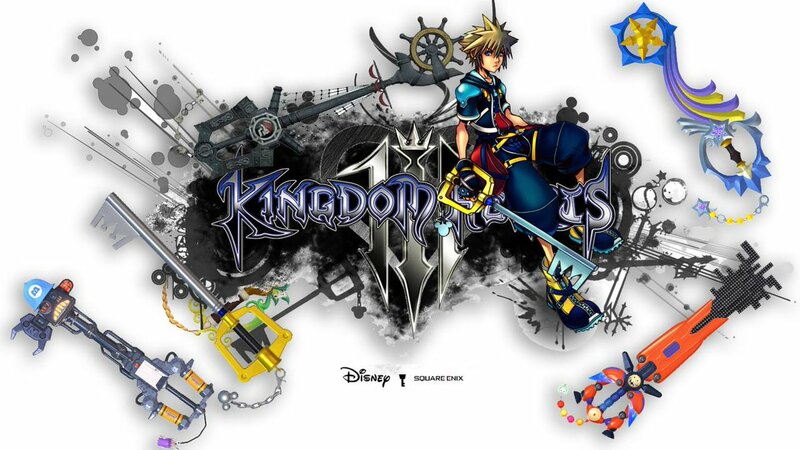 This includes new enemies, items, bosses, and an insane amount of new rooms for fans to fight their way through. On top of all that, a brand new secret ending that will certainly be the toughest challenge the game has ever seen was also included. You can check out the initial teaser trailer above and for a more detailed look at The Binding of Isaac: Repentance take a look at Gamespot's off-screen gameplay demo. 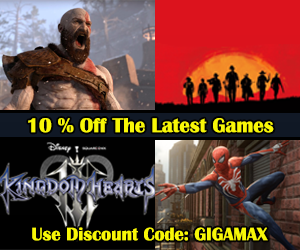 Always remember to check back with us here at GigamaxGames.com for the latest in gaming news and industry updates! Rocket League may have come out three years ago, but that fact certainly hasn't slowed down Psyonix's regular updates for the radically popular indie game. The most recent patch to hit the game is called the Progression Update and it certainly does what the title suggests. On top of a new leveling system, Psyonix added achievements/trophies, in-game clubs, and fixes for a number of problems fans had with the online multiplayer. 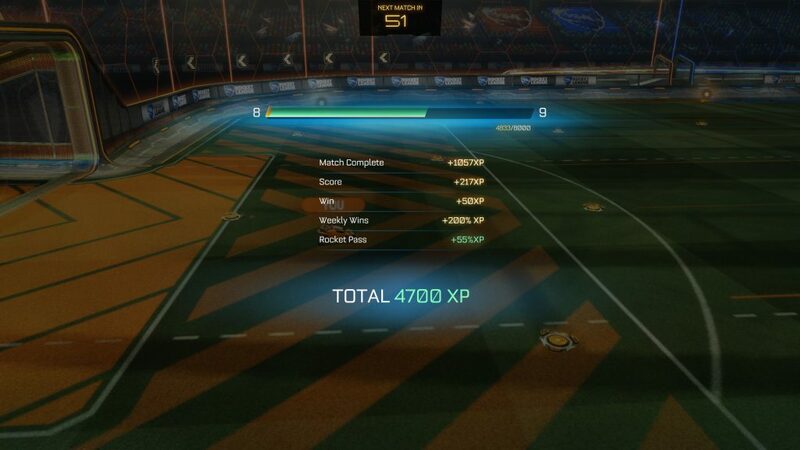 Also included in the update is the game's first Rocket Pass, which offers exclusive rewards, but it will cost you. The biggest change to hit the game is of course the progression system. XP can now only be earned through casual and ranked online matches and now instead of experience being tied to performance it now almost solely depends on match length. In order for players to earn any experience, a match will need to go on for at least 60 seconds. Experience will then be earned every second after that until eventually maxing out at 20 minutes of gameplay time. Players will still earn a small amount of experience for every goal they score, being MVP, playing multiple games in a row, and replacing a bot in a match. Their are additional titles to earn after hitting level 100, but new titles are only earned every 100 levels. Although this may sound like a monumental task, it is made easier thanks to the XP cap the game hits after level 20. On top of the massive progression system overhaul, their are additional trophies/achievements for players to earn. All six of these can be earned through the game's new online tournament mode or club feature. Clubs can be up to 20 players big and come with customizable names, tags, and color schemes. When entering a match, the stadium will change to reflect the Rocket League club's colors. 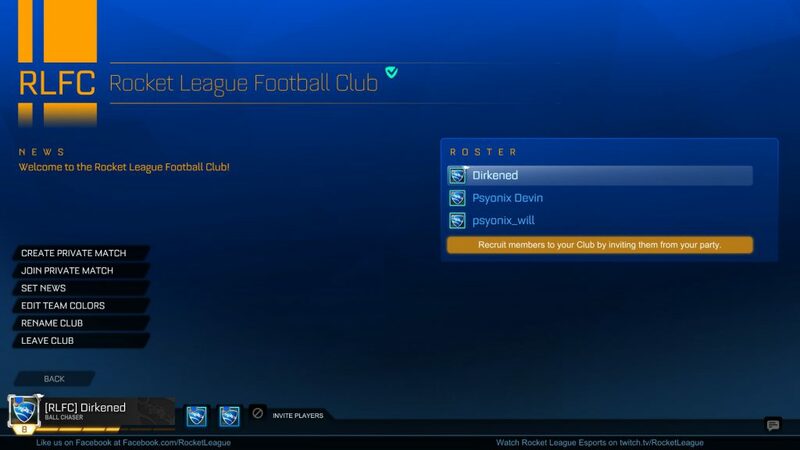 Players also have the option to verify their club so that it can't be copied by anyone else. Of course, these are only the major changes that made their way to Rocket League. For a more detailed look at the other updates, don't miss Psyonix's blog post that goes over every fix that has been patched into the game. As a game developer, you are surely aware that the market is constantly changing and developing. 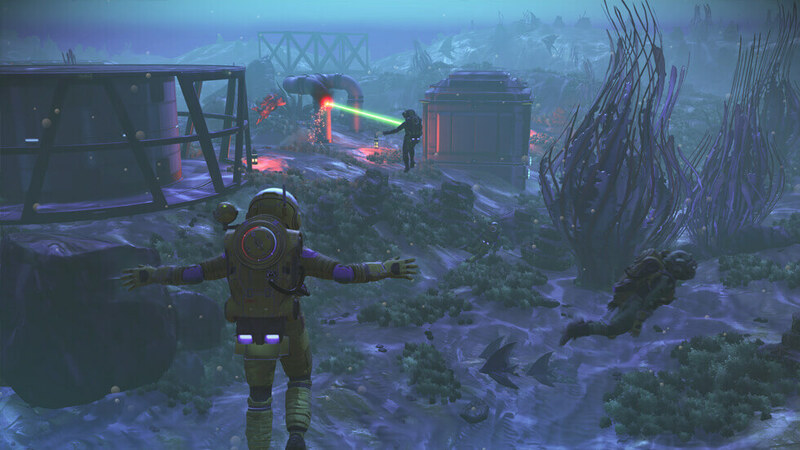 The gaming community is very vocal in what they want and expect out of a video game, and they are not hesitant to express when they are displeased - for instance, when the game No Man's Sky came out, many individuals expressed just how disappointed they were with the lack of expected features, and it caused the game's overall success rate to drop drastically. Therefore, you have to consider your impact, as a developer, on the gaming community. Many individuals will express what they want, what they expect, and how they want to utilize the new and improving gaming platforms. You have to consider your client base when developing your games. If you don't, your new, shiny game, will ultimately flop. Below are tips on how to listen to the gaming community, on a whole, and begin to understand exactly what they want and expect. 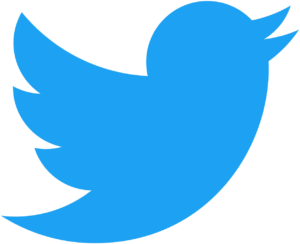 This might sound silly, but this is one of the best ways to gain insight from the community. Gamers are very specific in what they want - they will complain about the graphics quality, or the character design, or they will say how much they like the story of particular games, or the ability to customize your characters. Look at what individuals have wanted in a game, and know what to add to see to it that you are successful. If you don't read the reviews, you don't really learn what gamers are looking for at the time of release. 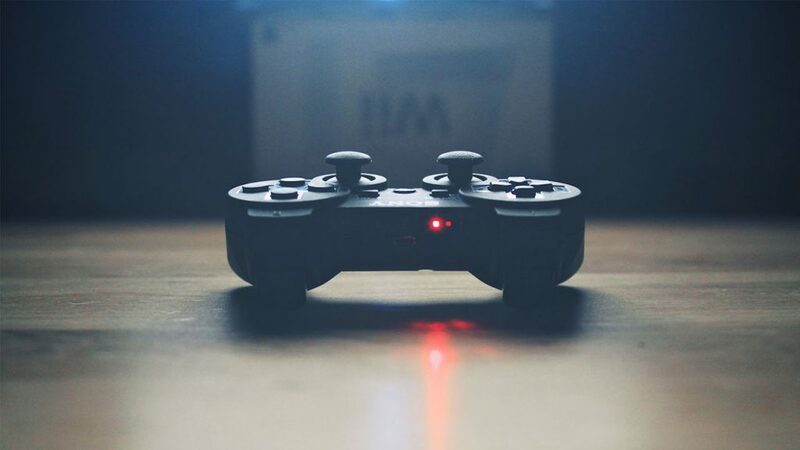 Knowing who you are marketing your video game to will make a world of difference. This is because, at the end of the day, different gamers have different expectations in the quality of their games. Individuals playing first-person shooters, for instance, may find that they don't even want a realistic campaign to play in conjunction with the game, they want only the ability to run around and fight other people on multiplayer. Similarly, if you are coding an MMORPG, it would be vastly important to ensure you provided a detailed background story and an immersive world. Without these, you will slowly begin to lose your audience. With new, better, more powerful machines coming out every year, it is more important than ever to follow technology trends. Knowing what new processors are coming out will help you understand what your clients want in a video game - for instance, a high end, very detailed game would be perfect for release alongside the newest up and coming graphics card and processor. Timing your game releases to match up and coming technology trends will ensure your community feels heard, resulting in more satisfaction overall. As with all games, there will be bugs. There will need to be patches, as well as upgrades in game. Be sure to listen to what people say after the game launches - if they want a particular type of update, be sure to implement it in an upcoming patch. 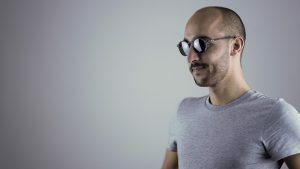 This will ensure that your clients feel as though they're being heard, and it will create a better fan base for any games you develop in the future, as you have branded yourself as a reliable, dependable developer. While these are, most certainly, not the only ways to ensure you are listening to the gaming community to ensure you are creating the best gaming experience possible, these methods do ensure that your clients feel heard. You will stay up to date with current technology trends, ensure that your games remain up to date, and provide what your player base wants as far as a game experience goes. Realistically speaking, in knowing what they are expecting from games at the moment, you will be providing them with a great experience. Adding these small steps, however, will provide them with a top-notch experience and ensure you maintain a player base for years to come. Special Guest Blog submitted by the Creator of HDD Mag. Creator of HDD Mag, lover of comic books (Especially Dr. Strange), horror movies and video games. In my spare time, I’m either reading them, watching them or playing them! The developer behind the indie title No Man's Sky, Hello Games, outlined a substantial update coming to the game that will add a variety of features fans have been requesting since launch. The open world space exploration experience is about to be transformed. Hello Games called this the Next update and it will be available for free on PS4, Xbox One, and PC starting July 24th. The biggest of all the additions making their way to the game is multiplayer, which will allow players to group up in small teams and explore the universe together. Gamers will also have the option to join up with random members from the community. No Man's Sky is also set to receive a massive visual overhaul, that according to the studio, will add "dramatically improved planetary terrain generation, ground textures, water, and clouds." Additionally, there's "also significantly more detail added to ships, NPCs, and buildings." (https://bit.ly/2uuESrI) New planetary rings and improved space visuals will be making their way into the game as well. In a dramatic move, Hello Games is letting players to explore the world in third person mode, too. The Next update has base building in its sights along with all the other updates coming to No Mans Sky. Now, players will have the ability to build more than one base on a planet. Crafted items are now more complex and the size limitations have been reduced. On top of all that, the Next update added a couple of new base parts as well. Last but not least, players will now be able to command freighters, which includes assembling and upgrading an entire fleet of frigates. Commanders can send them out into the universe or have them provide assistance as they explore systems. This is all done from a freighter, which behaves like a capital ship. Friends can be invited aboard the ship where they'll be able to embark on multiplayer missions from Galactic Commission Station, located on the bridge. For more information on what's available in the Next Update, check out the trailer above for an in-depth look. The Nintendo Switch is now home to Darkest Dungeon and besides the wacky menu system on the hybrid console, it’s extremely entertaining. This is one of those indie games that keeps on bringing people back. Known for its challenging dungeon crawling elements, the Gigamax crew wasn’t too familiar with the title. A request brought it back to the attention of Gigs and Mack so it was about time to explore the dangerous depths of Darkest Dungeons. Caught off guard with the clumsy menu system the game uses for the Nintendo Switch, the intro to Darkest Dungeon was interesting, to say the least. After the crew got those hiccups out of the way, it was time to start slaying. Going in relatively blind, Gigs and Mack limped through a dangerous dungeon. It may not have been pretty but the Gigamax crew got the job done…. kinda. Are you a fan of Darkest Dungeon? If so, be sure to leave a comment at the bottom of this page or on the video! The Gigamax crew is dying to release even more gameplay. This will be the place to find all the latest Darkest Dungeon gameplay. Thank you all so much for taking the time to stop by this Let’s Play Page! It means the world to everyone here at Gigamax Games. Don’t forget to Like, Comment, and Subscribe for more videos every week! Find out more about becoming a content contributor! INSIDE is the spiritual successor to Playdead’s previous game, LIMBO, and it wears that mantle well. INSIDE was released on Steam, PS4, and Xbox One in 2016 by Playdead. 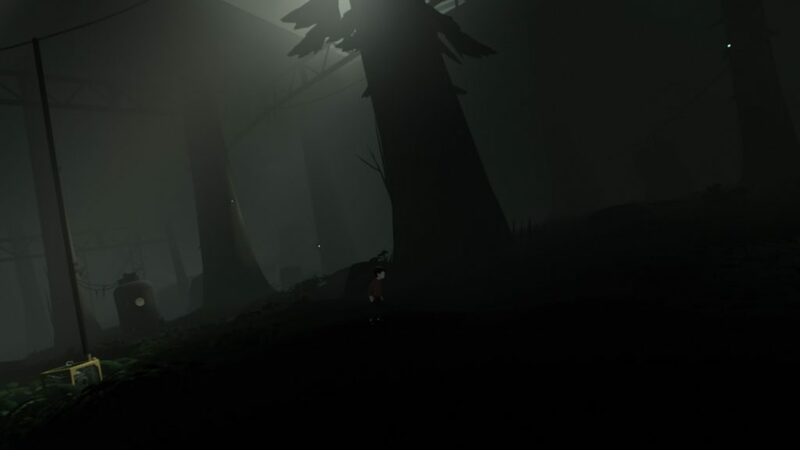 This game is a “trial and death” game much like what Playdead had labeled LIMBO. Thematically both games are dark, but most of LIMBO’s grit comes from the ambiance, whereas INSIDE’s melancholy is tied to the themes that it presents. At its’ base, INSIDE is a side-scrolling 2.5D puzzle game with the story being told through set pieces that you encounter on your journey through the remarkably detailed world. While it’s not as difficult as its’ predecessor, INSIDE has a few new mechanics that keep things fresh. 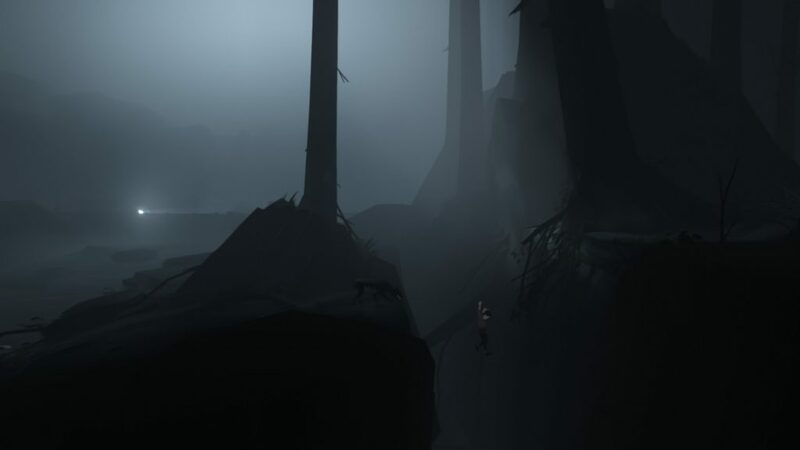 Much like the previous game LIMBO, INSIDE starts off with a small boy running through a forest. After a short trek through the bush, you burst out into a clearing, where you learn that your character is trying to evade some NPCs(Non-Player Characters) armed with flashlights and tranquilizer guns. As you venture further and further into the game, the NPCs get more aggressive. 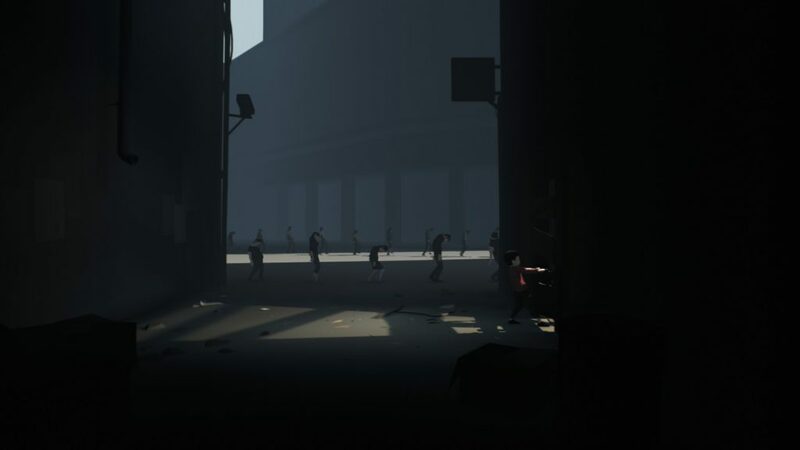 The world itself takes a dystopian twist, each death functioning as a checkpoint as you stumble blindly through Playdead’s wonderfully crafted and terrifying world. You’ll find yourself holding your breath as you attempt to evade NPCs, pulling your hair as you try to figure out the path you’re supposed to take and a surge of joy when you finally solve an especially difficult puzzle. Much like LIMBO, there’s also a modicum of macabre humor to be found within the venue that Playdead has granted us. The sad state of the protagonist’s world is told through both the extremely creative set pieces as well as the beautiful art style. You will die, a lot. INSIDE’s graphics are not as rudimentary as the previous game. LIMBO was a black silhouette on a black landscape, INSIDE’s world is one of color, still draped in an atmospheric shadow and somber grays. The oppressive landscape serving as a terrifying backdrop to the gameplay, the story of the wheres and whyfors playing out in the background and sometimes in the foreground as you attempt to surmount the plethora of nefarious puzzles that have been placed in your path. While INSIDE is a great game, I think LIMBO is the much stronger title out of the two. If we’re being totally honest, I feel like INSIDE would probably feel more original if I hadn’t touched LIMBO first. 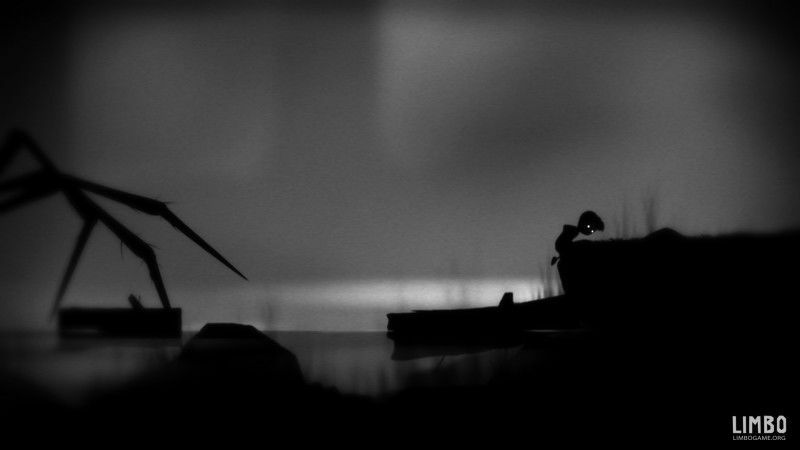 In the end, I’d say that if you like platformers and Puzzle games: Pick up both LIMBO and INSIDE. If you have to choose between the two, I’d get LIMBO because the puzzles feel less labored than they do in INSIDE. 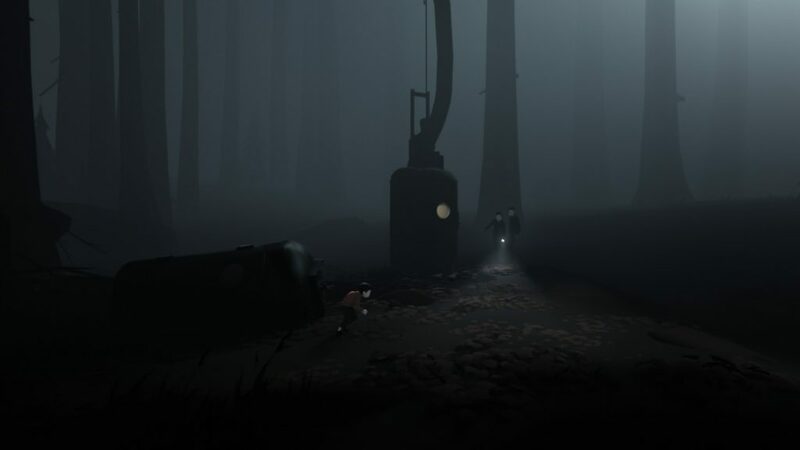 I just did not get as much from INSIDE as I did LIMBO, it’s still a great game, it’s just not as fantastic as the previous outing by Playdead. 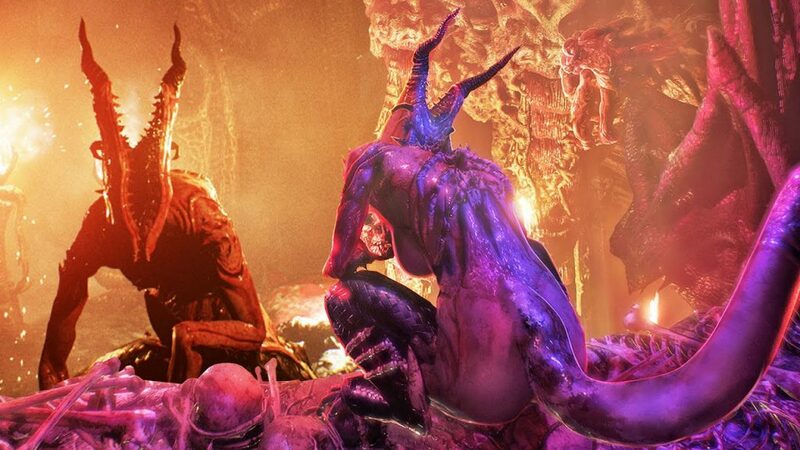 Agony caught the attention of gamers a couple years back when the trailer made its rounds on a bunch of social media platforms. This was where Gigs and Mack first heard about this upcoming horror adventure game. It seemed as though it was going to deliver a unique and exciting experience but what the world ended up receiving was far from expectations. This game was anything but enjoyable. Screen tearing pledged the playthrough and the rough character models and the subpar world quickly eliminated any excitement surrounding Agony. Instead, gameplay turned into pure agony. Just because a game doesn’t have the best graphics doesn’t always mean its a flop. However, everything else that the game would have needed to deliver in order to overshadow its rough aesthetics fell short as well. This playlist shows off the first few minutes of Agony on PlayStation 4 and it quickly becomes clear why the game reviewed so poorly. Even though the game was a flop, the gameplay is absolutely worth investigating. It’s almost surprising that the developers were able to get away with distributing this game to the world. Have a look for yourself, the Gigamax crew wants to know your impressions. What did you think about, Agony? Are you going to give it a try? Leave a comment at the bottom of this page or on the Agony video on YouTube. Thank you from Gigamax Games! Thank you so very much for taking the time to stop by. It means the world to everyone here at Gigamax Games. If you liked the video and want to see more, don’t forget to Like, Comment, and Subscribe for new videos every Tuesday and Thursday. If articles are more your speed, GigamaxGames.com releases new video game news, reviews, and discussions every Monday, Wednesday, and Friday! Bloodstained: Curse of the Moon is a Kickstarter stretch goal for Bloodstained: Ritual of the Night. Ritual of the Night will be a spiritual successor to Castlevania’s non-linear, RPG-style entries and it seems as though the world is excited to get their hands on it. Bringing in a considerable amount of attention, the developers promised an interim game, Bloodstained: Curse of the Moon if one of their Kickstarter goals were met. 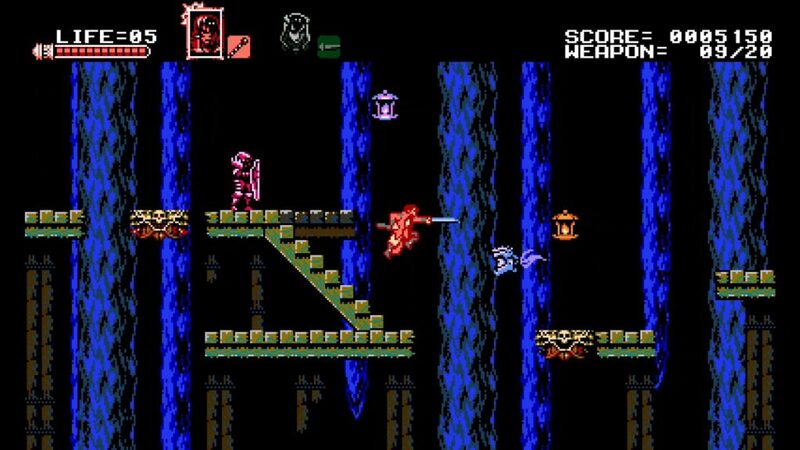 Keeping their promise, PC and Switch gamers are now able to get their hands on the 8-bit Curse of the Moon. Holding true to the feel of an old-school Castlevania game, Bloodstained: Curse of the Moon is infectious. The simple yet exciting gameplay is addicting and challenging. It continues to bring the Gigamax crew back and the choice of difficulty makes it enjoyable for gamers of all skill levels. Whether someone is looking to breeze through an 8-bit masterpiece or if they are searching for their next challenge, Bloodstained: Curse of the Moon is built to deliver both. The graphics are beautiful, especially for its 8-bit art style and the gameplay mechanics are all incredibly smooth. Overall the game is an enjoyable and exciting precursor to the full, Bloodstained: Ritual of the Night which is expected to release this year. Any indie game lover on the PC or Switch might want to consider picking up Curse of the Moon if the wait for Ritual of the Night is becoming too difficult to bear. Beyond just holding gamers over, this game is an absolutely beautiful experience for anyone that enjoys this kind of 8-bit style non-linear RPG. Thank you from, Gigamax Games! Thank you so much for taking the time to stop by the Bloodstained: Curse of the Moon Playlist page on Gigamax Games. This will be the place to find all the latest episode of this 8-bit indie game. If you enjoyed the playlist and want to see more, leave a comment at the bottom of this page or on any of the videos on YouTube. Don’t forget to Like, Comment, and Subscribe for more! Watch out for new videos every Tuesday and Thursday and articles every Monday, Wednesday, and Friday! Indie games are rising in popularity but the market is becoming saturated with AAA titles, other indie games, and now even video games in-between these two categories. These indie developers are left scratching their heads, wondering how they can make any kind of impact in an industry that’s overwhelmed by all these games releasing at such an impressive pace. 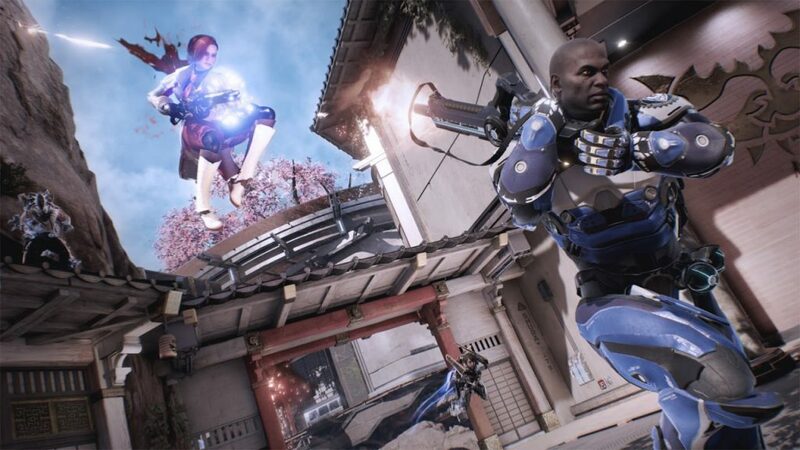 In the wake of Cliff Bleszinski’s studio, Boss Key Productions closing their doors after three years, the video game industry is paying close attention to this massive misstep. Boss Key Productions' independently released, “Radical Heights”, failed to make up for the financial void their previous release, Lawbreakers left behind. When a studio led by such a prominent name in the video game industry can close after three short years because of one major failure, indie developers worry if there is any room left in the market for them. Indie developers may face shoestring budgets but this is both a blessing and a curse. Development might take longer and the resources they have are limited but one failed game might not sink an indie studio. 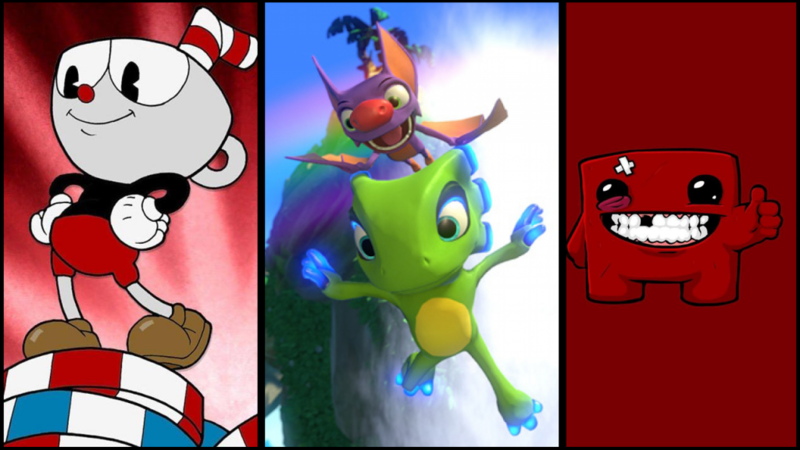 Boss Key Productions had 65 employees as of September 2017, whereas Studio MDHR, the developers of the indie hit, Cuphead has 15. These smaller developers have much more room to experiment with ideas, fail and bounce back, and remain agile when compared to larger studios. Even with the benefits of being an indie studio, the indie market isn’t immune to over saturation. A recent report from SteamSpy’s Sergey Galyonkin showed there were an incredible 7,696 games released on Steam in 2017, up from 4,207 in 2016. This is making it challenging for indie developers to find a spot for their games and get the recognition some of them deserve. Still, time and time again, an indie game will pop up and make waves worldwide just like Cuphead mentioned above or even Illfonic’s Friday The 13th: The Game. Yet, as the video game industry continues to mature, the fear remains that these independent developers might be pushed out of the market by not only AAA developers, but the massive increase of indie games making their way to both consoles and PC. In a previous article on Gigamax Games titled, “The Best Time For Indie Developers” it took a different view on the current state of the industry. Focused on the technologies available and range of marketing methods at indie developers disposal, on one hand, things are looking up for these creators. 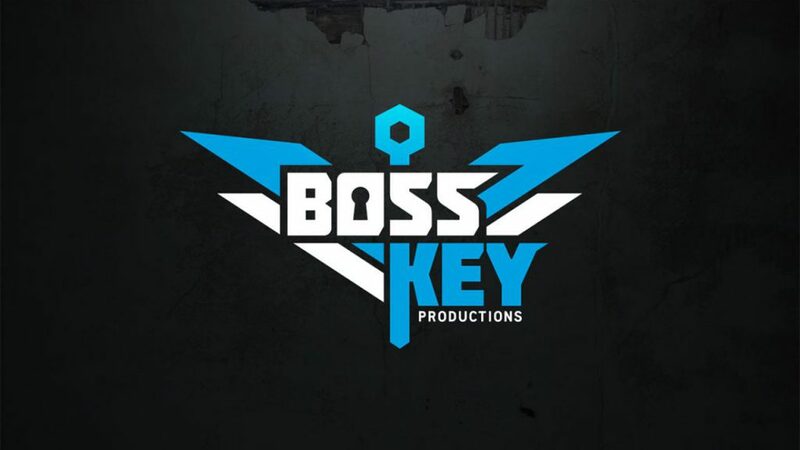 Now with a studio like Boss Key Production closing their doors, it’s a stark reminder that even having the resources, technologies, big names, and capabilities to create a game like Lawbreakers or their independently publish Radical Heights at the height of Battle Royales popularity isn’t enough to turn a small studio into a major player within the video game industry. One thing is certain, the video game industry in its current form is still relatively new and figuring itself out. The popularity of indie games is growing exponentially but all this uncertainty surrounding the market may steer would-be amazing indie creators away from releasing their games to the world. However, when quality content is released to the world, people will notice. Indie games aren’t going anywhere any time soon as they continue to find their place, but Gigamax Games will be keeping a close eye on the market to see how this sector continues to progress. Are You an Indie Developer? Are you an indie developer? Let us know your impression of the current indie game scene and if you have a game, post it in the comments below so the Gigamax Games crew can give it a try! 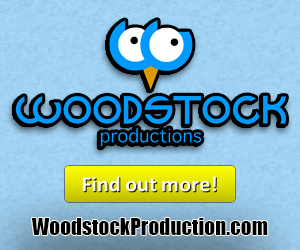 If you’re an indie developer struggling to break into the market, Woodstock Productions might be able to help!